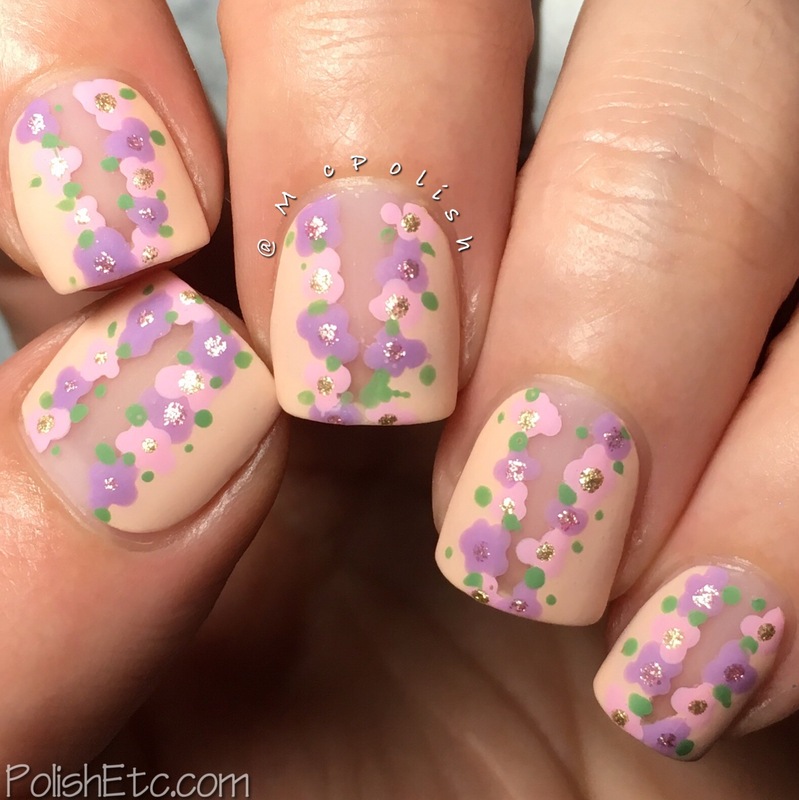 Floral Nails for the #31DC2018Weekly - Polish Etc. 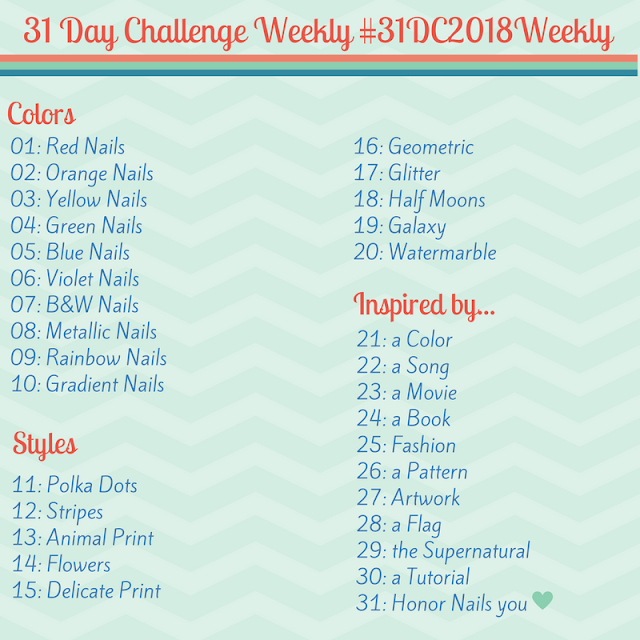 For this week's prompt in the #31DC2018Weekly, we are doing floral nails! Flowers are always a staple in the nail art world. There are a billion and one ways to paint them on your nails. This my manicure this week, I was totally inspired by an old manicure by Nails by Miri. I have had it saved in my collection of nail art inspiration photos for a year now. It seemed like this week was a good time to give it a try! I used different colors and no studs in my look. Overall, I am happy with the outcome. It was approved by Lotte, so I had to share! First, I started off with a clear base coat. I then placed Deep V vinyls from Whats Up Nails down the center of my nails and painted a peach creme along the sides to create the negative space V. Next, I used a pink and lavender creme with a dotting tool to create the flower petals down each side of the V. I gave each of the flowers a sparkly center for good measure. With green, I painted on some little leaves and then topped it all off with a glossy top coat. Most of the creme shades I used in the mani are from indie brands that are not in business any more. But you can use and combination of colors you would like for this mani! It is best to use more opaque shades for the flowers to they cover the line of the V well. Of course, I just had to try this with a matte top coat. It looks pretty darn awesome mattified! I was iffy about posting this mani. I wasn't totally happy with my color choices. But I showed it to Lotte today and she said she liked it. It has grown on me :) Which do you prefer: glossy or matte? You are picky with yourself, right? It's absolutely cute and delicate. I love it! :) And the matte version is even more perfect! This is so pretty! One of my favorites from Miri. Thank you, I really loved her original mani.